What is the Game Zone? 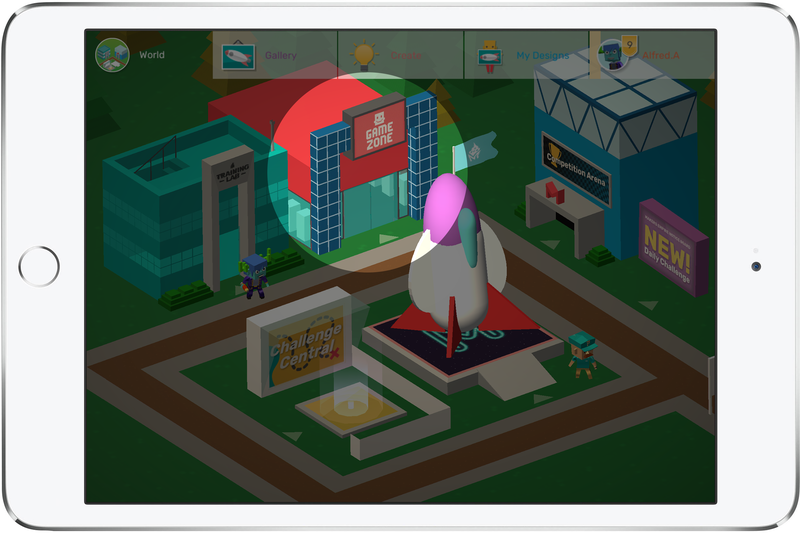 In Version 4.3 of Makers Empire we’re introducing a new building to the Maker World, “Game Zone”. Game Zone has been carefully designed by our team to complement and accentuate student’s learning, drawing heavily on the principle of ‘hard fun’. Students will love the opportunity for creative, immersive play, while teachers can be confident that they are actually learning and thinking - a lot! On entering Game Zone, users see one active machine - Maze Mania. More machines will become active as new mini games are added. 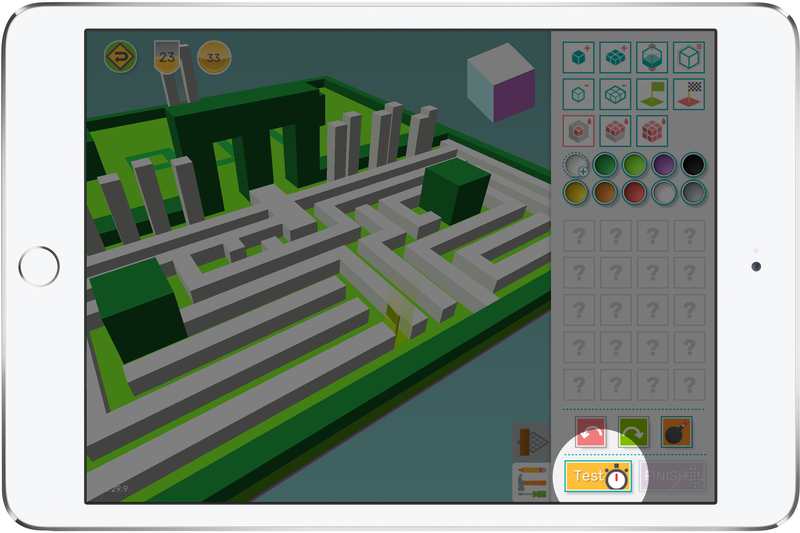 Maze Mania is an extremely engaging and interactive design experience. Users can both play and make 3D mazes, which provides an amazing opportunity for teaching Design Thinking, especially highlighting the importance of testing and iteration. Using simple blocks and their imagination, students build their maze from the ground up. They must first consider the physical constraints of a maze, and also how they are going to make their maze fun and interesting for other users. Before they can share their maze, users must first test it to make sure it is actually finish-able (and fun). This instant feedback loop provides students with direct and compelling motivation to iterate on their maze. The maze's creator must be able to finish the maze themselves to prove there is at least one possible route through the maze. Once they complete a successful test run, users can choose to Try again (replay their test), Keep making (edit their maze), or Finish. 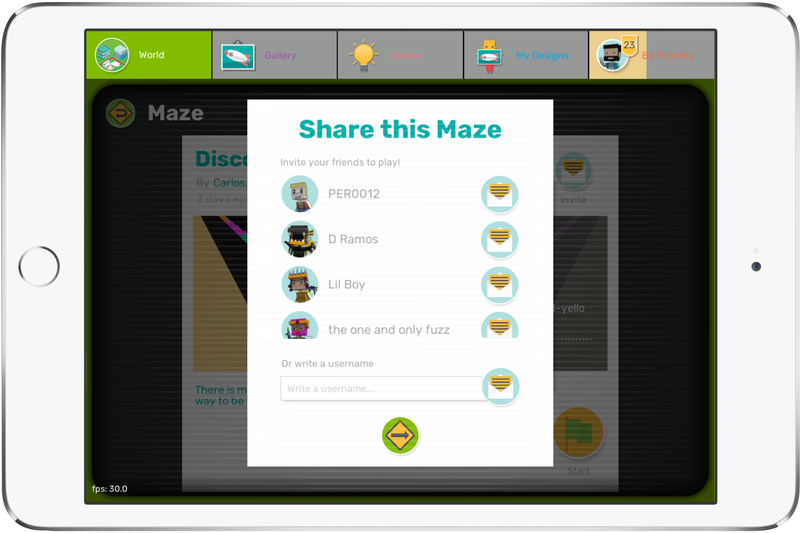 Once they are happy with the design of their maze, students can invite their friends to play their maze. A leaderboard of finish times encourages users to replay mazes to beat their best times, and maybe even get a world record! In doing so, students are formulating connections, predicting outcomes and exercising their spatial memory. Players are also able to rate the maze once they have successfully completed it. This ranking combined with the number of users playing a maze will determine it ranking in the Top and Hot lists. By investigating the characteristics of highly rated mazes, users are encouraged to recognise patterns and make predictions about how various design features might affect their own mazes. Teachers have the option to limit student's access to the Game Zone via the teachers dashboard. More details here.